[PDF] True Strength: My Journey from Hercules to Mere Mortal and How Nearly Dying Saved My Life | Free eBooks Download - EBOOKEE! Description: On television, Kevin Sorbo portrayed an invincible demigod in his real life, a sudden health crisis left him partially blind and incapacitated at just thirty-eight years old. Yet since appearances are everything in Hollywood, he hid the full details about his condition from the press and continued to film "Hercules," which was the number one TV series in the world. In this inspiring memoir, Sorbo shares the story of the crisis that ultimately redefined his measure of success. "True Strength" is the story of transformation, persistence, and hope in the face of seemingly insurmountable obstacles. Sorbo reflects on his childhood in Minnesota and his early acting days in Hollywood, to his charmed life as television's beloved Hercules, and where he is today. He recounts the onset of his symptoms, his frightening hospitalization, and his arduous path to recovery. 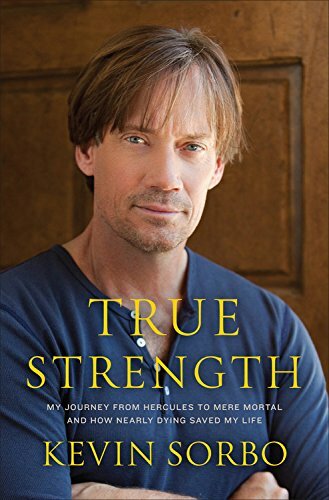 With this honest account of personal tragedy and triumph, Sorbo aims to blaze a trail for those who have ever suffered acute illness or a serious setback in life and are now struggling to find their way back. No comments for "[PDF] True Strength: My Journey from Hercules to Mere Mortal and How Nearly Dying Saved My Life".